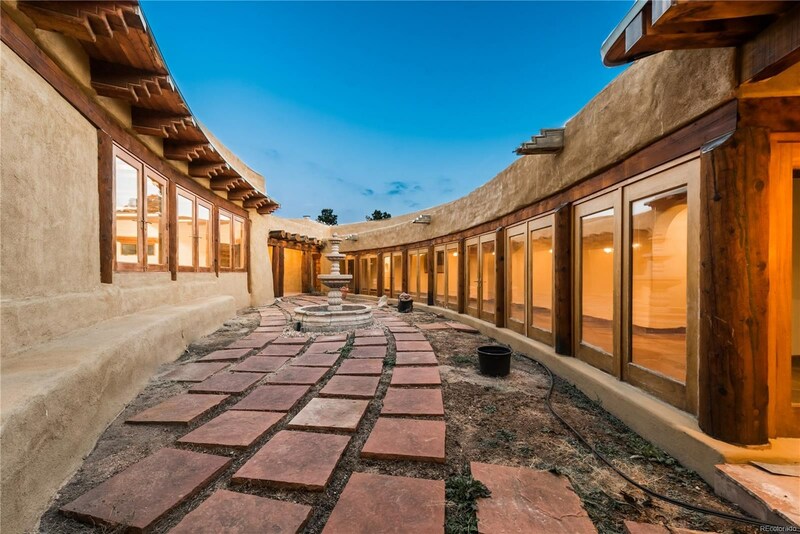 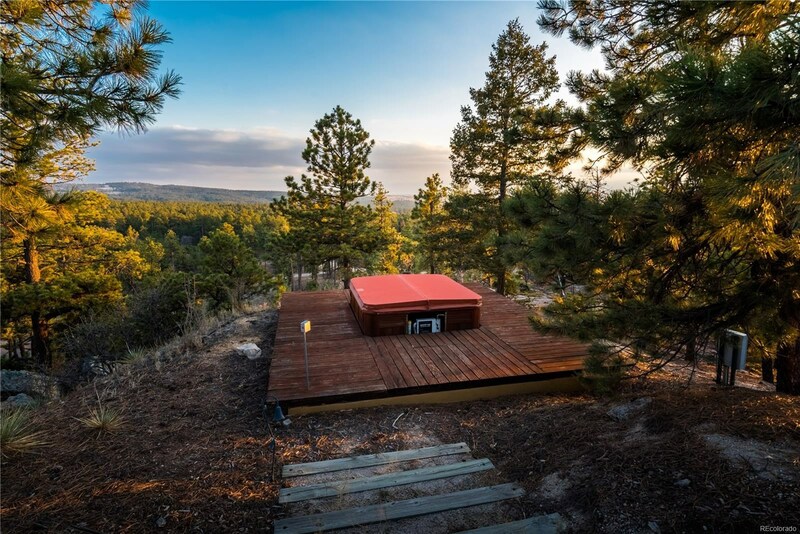 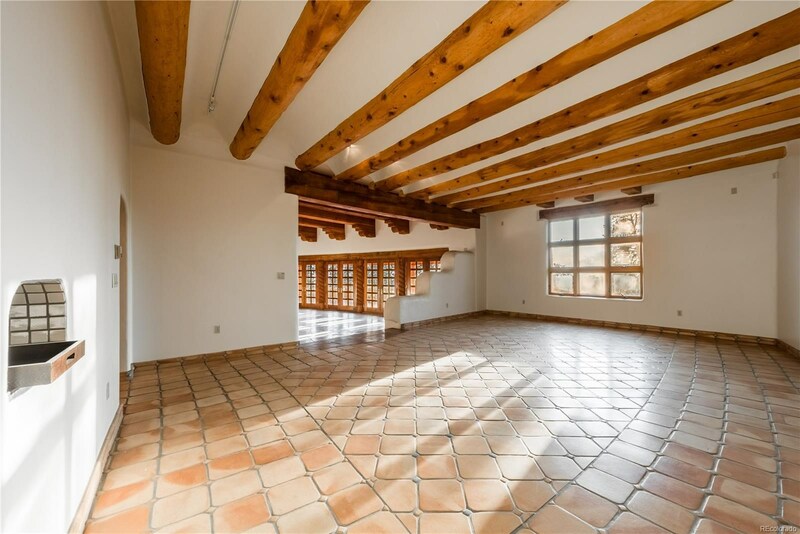 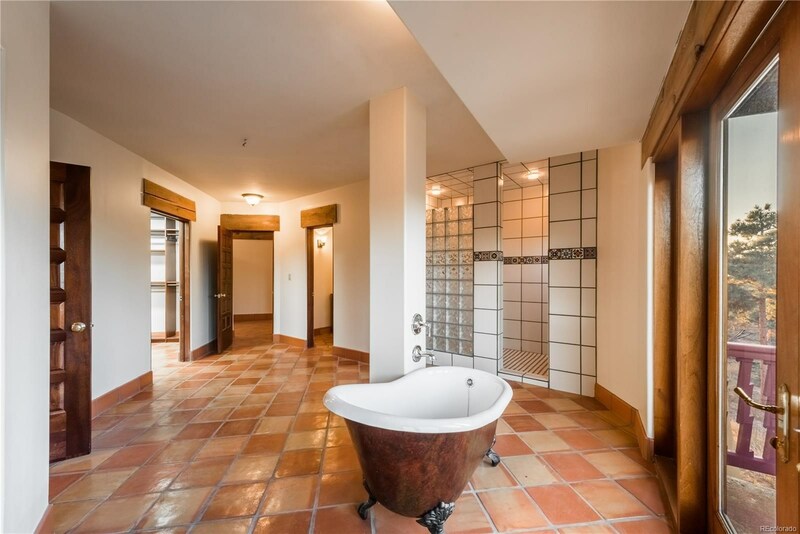 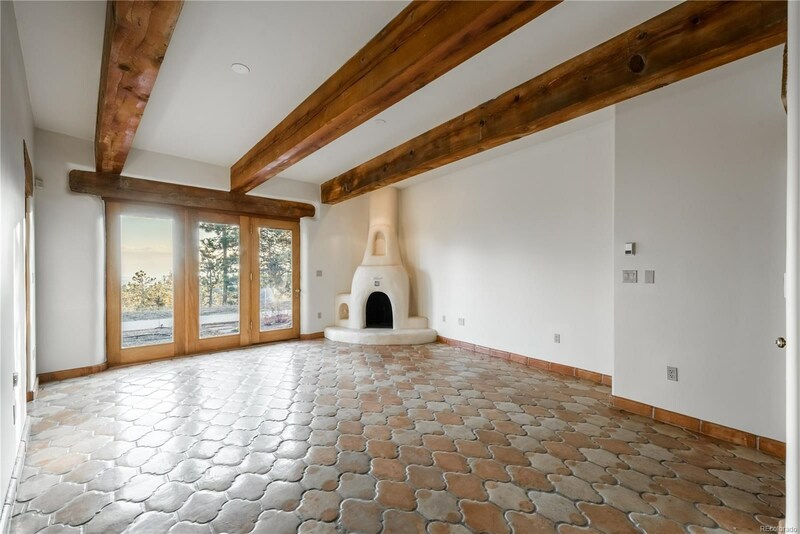 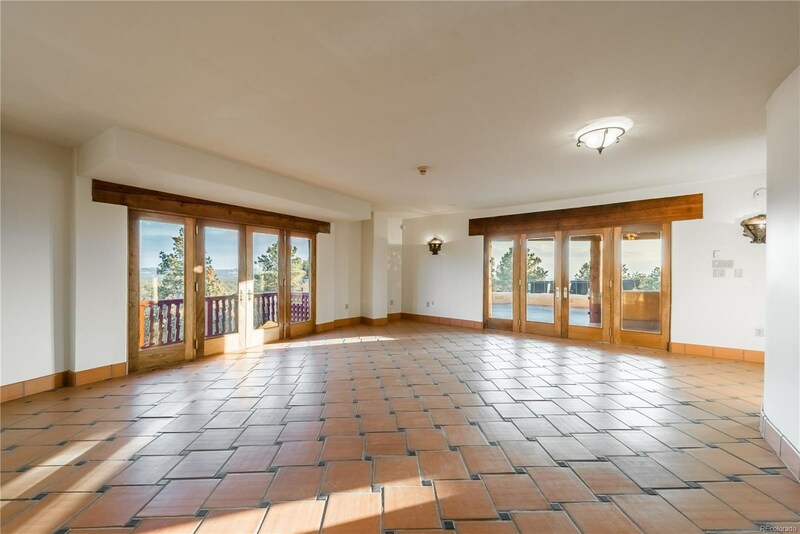 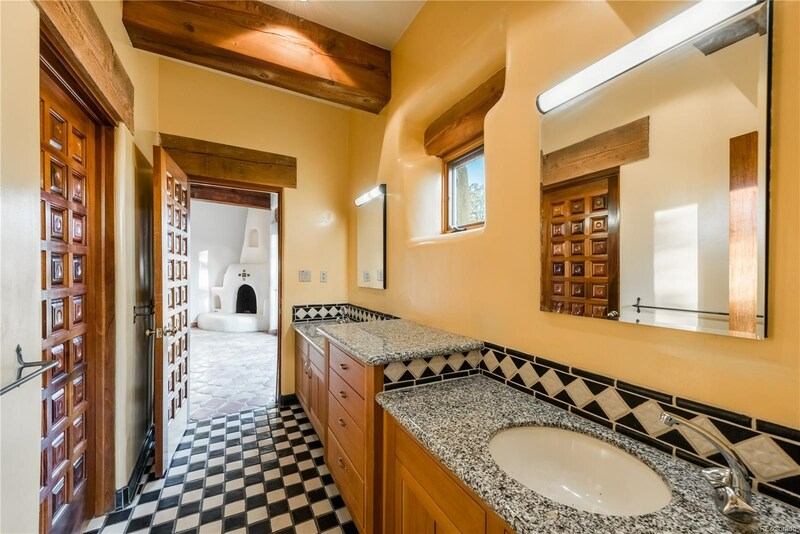 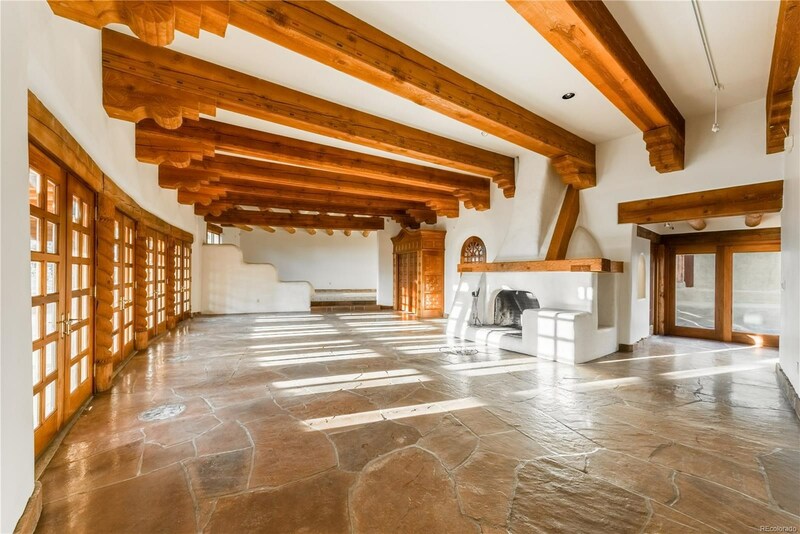 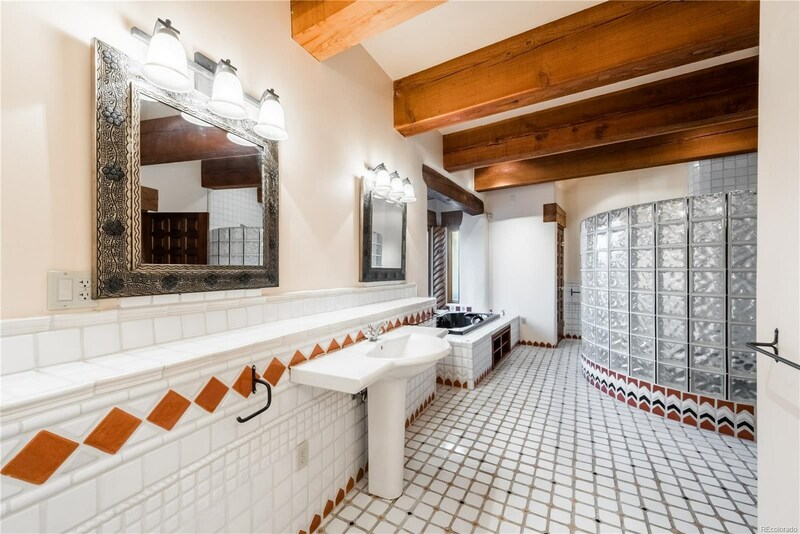 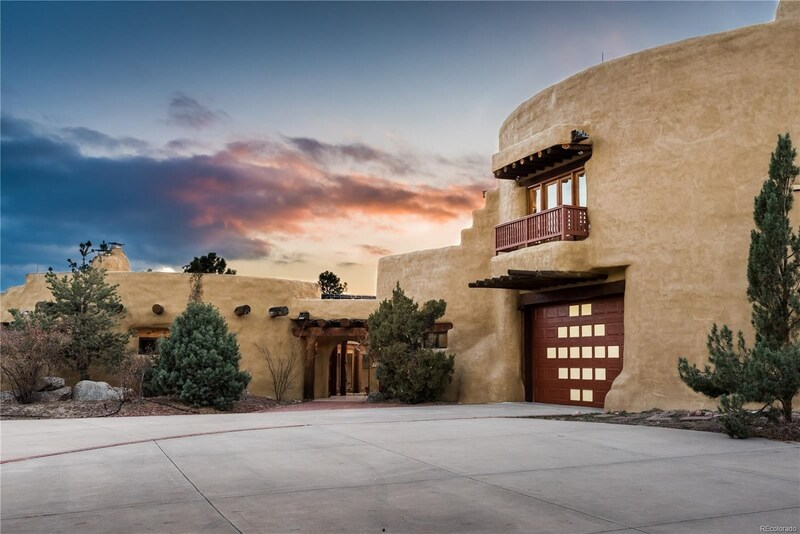 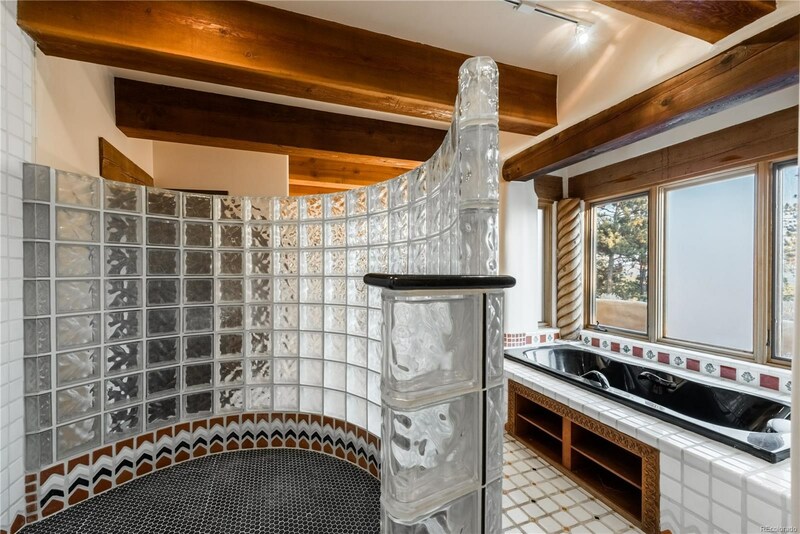 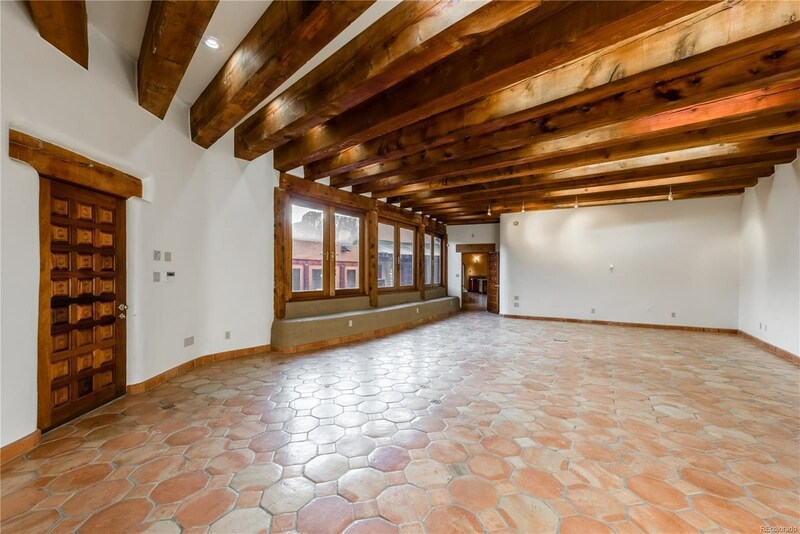 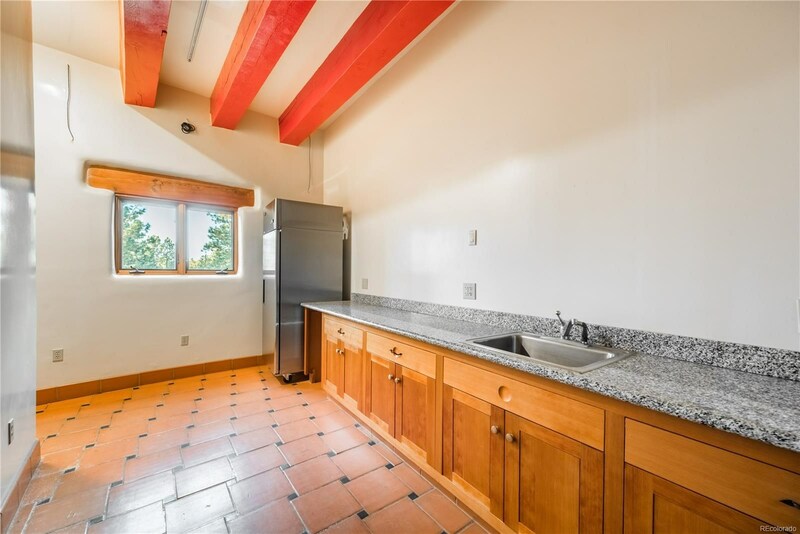 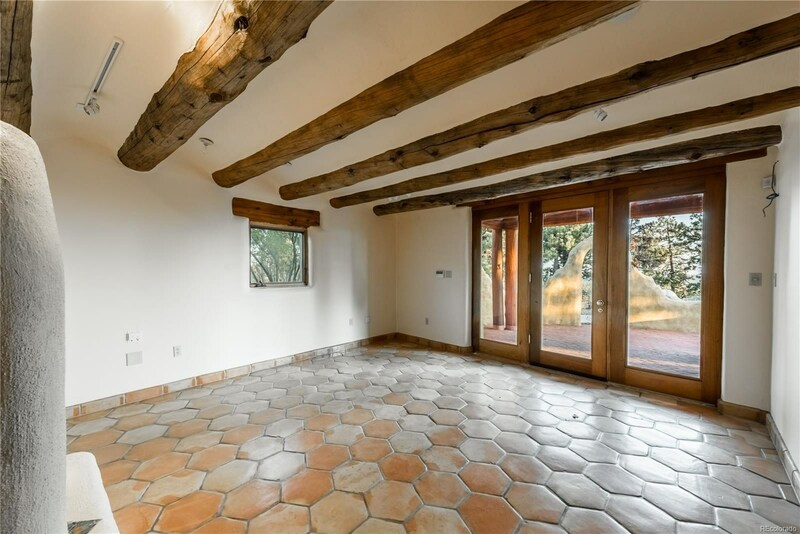 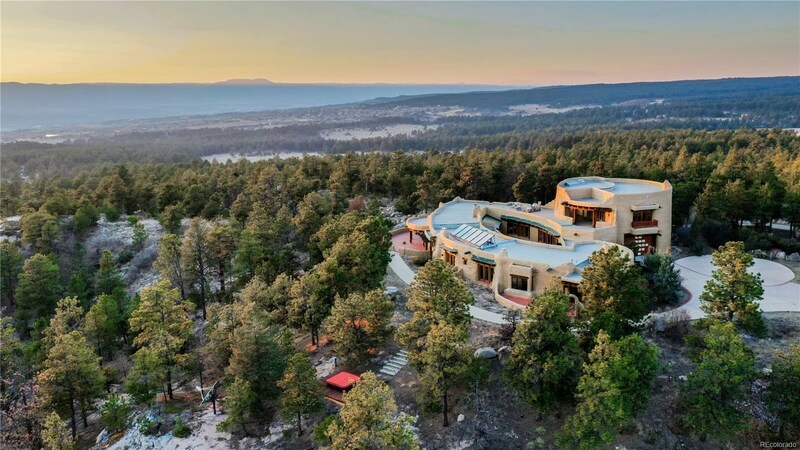 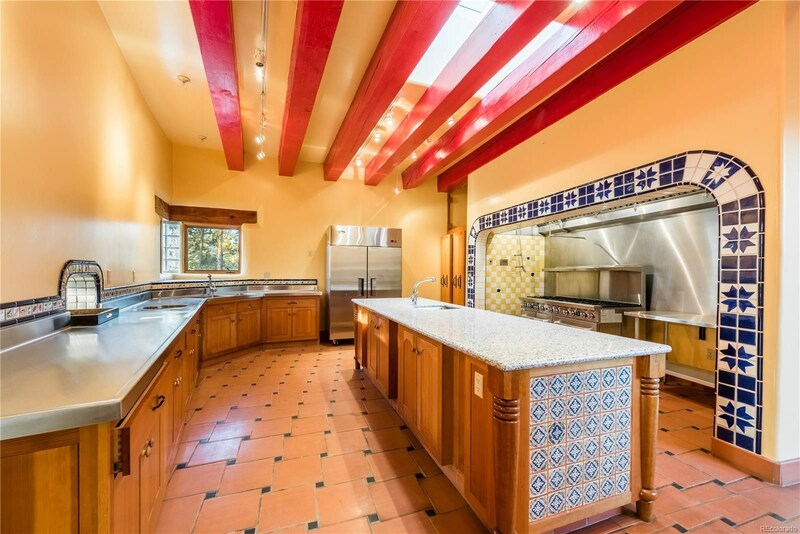 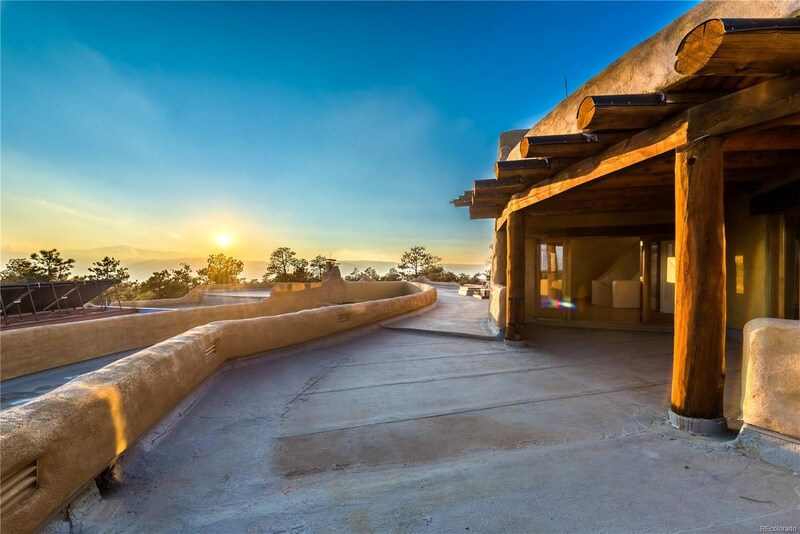 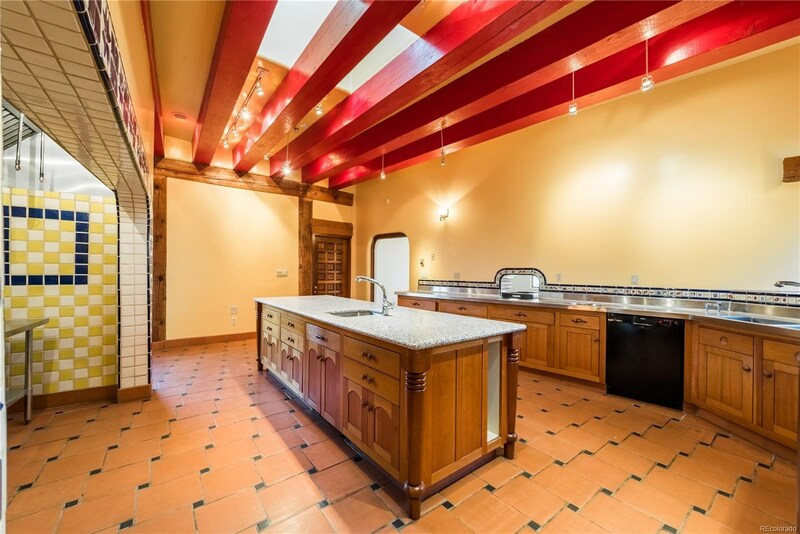 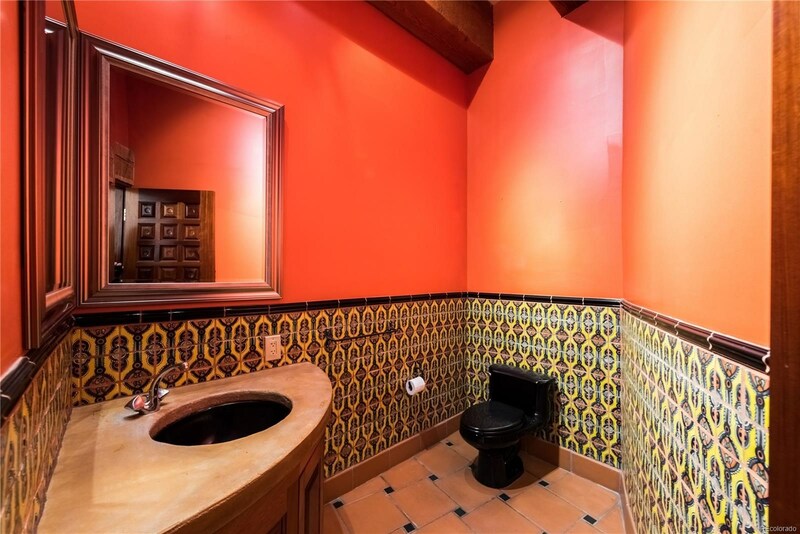 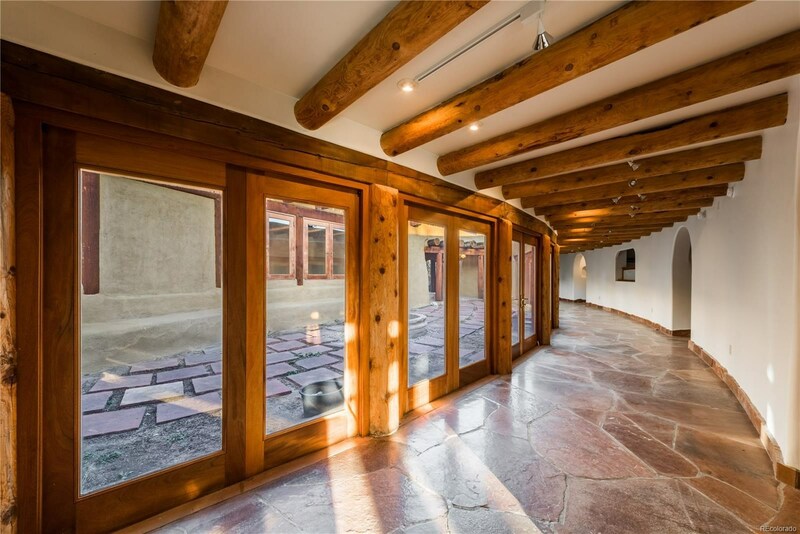 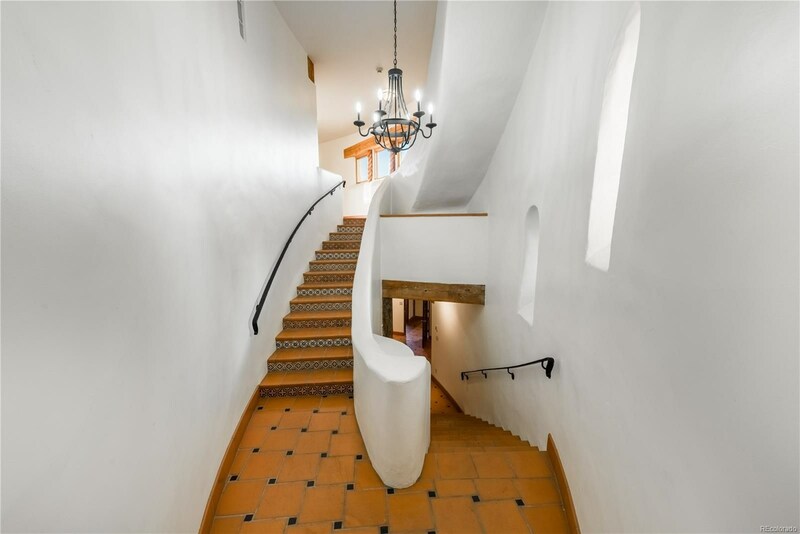 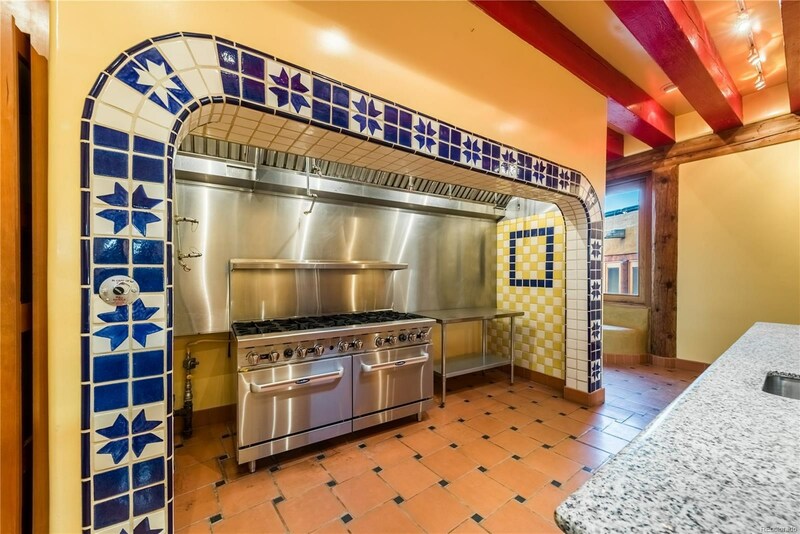 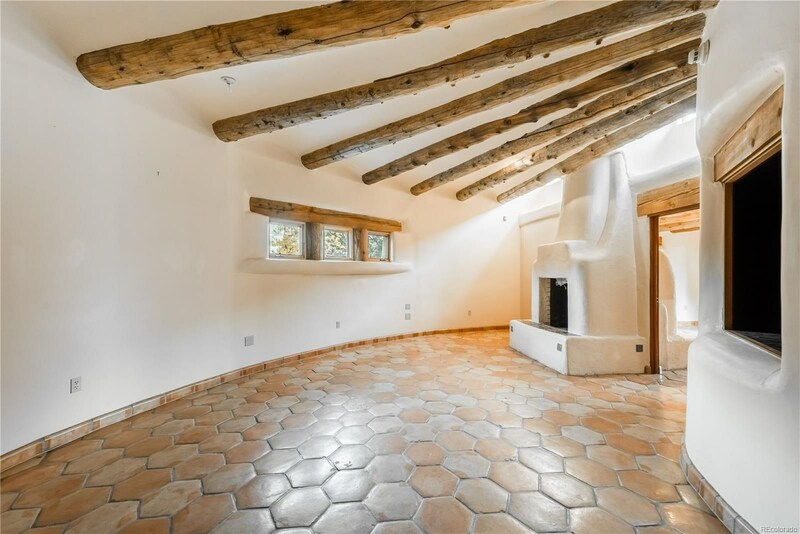 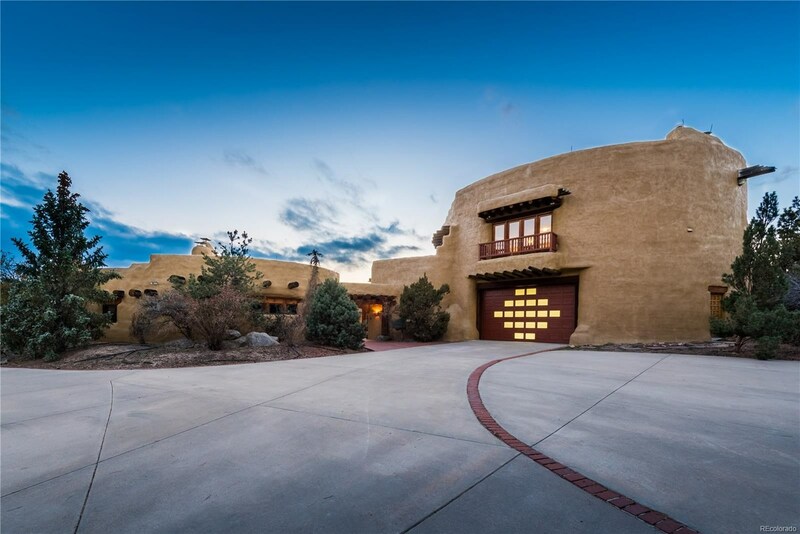 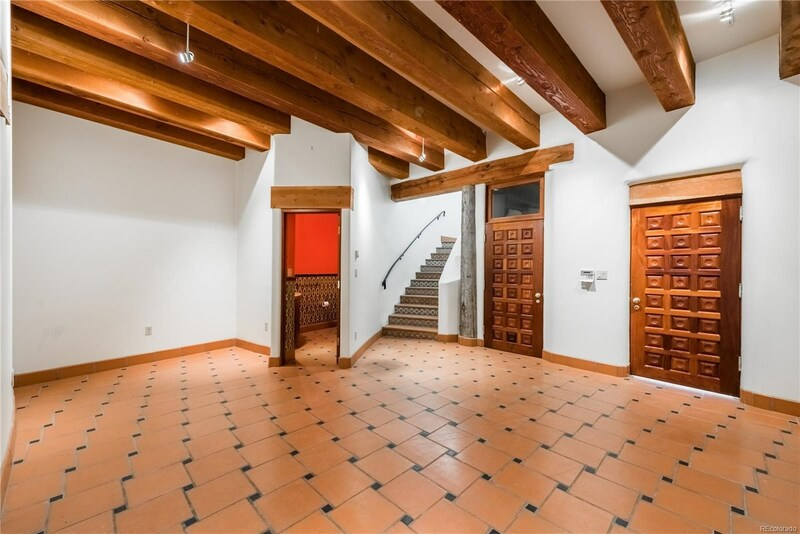 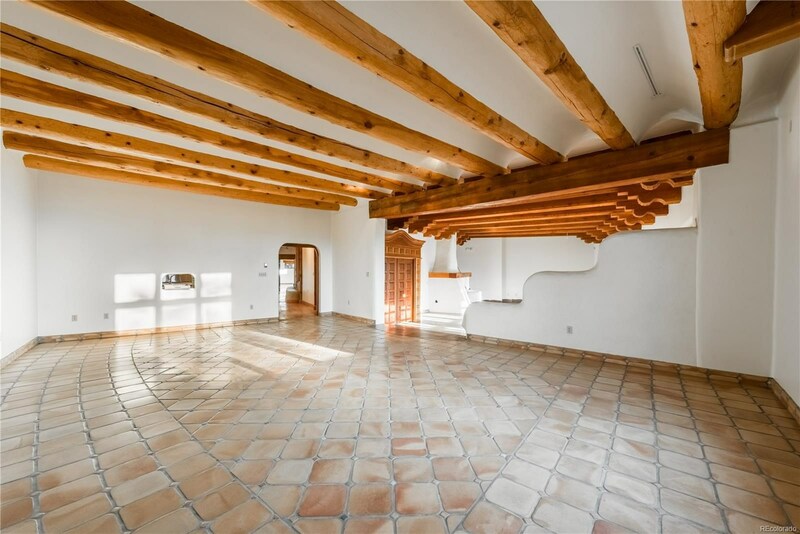 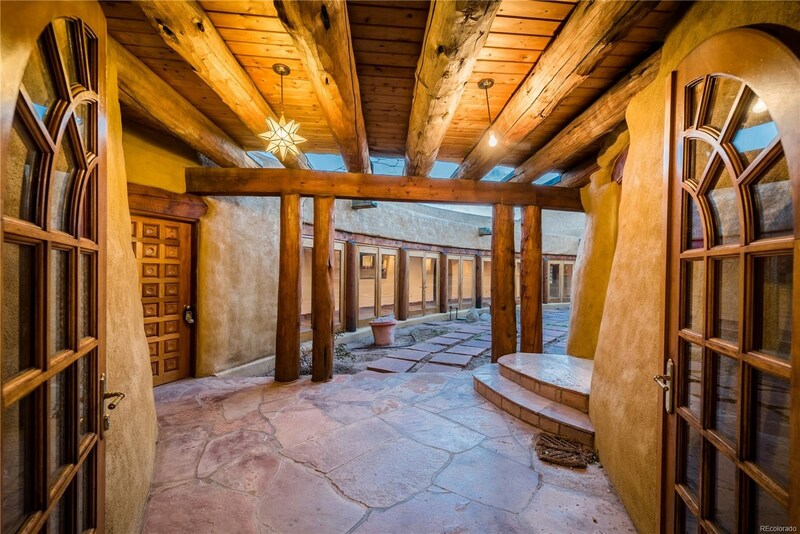 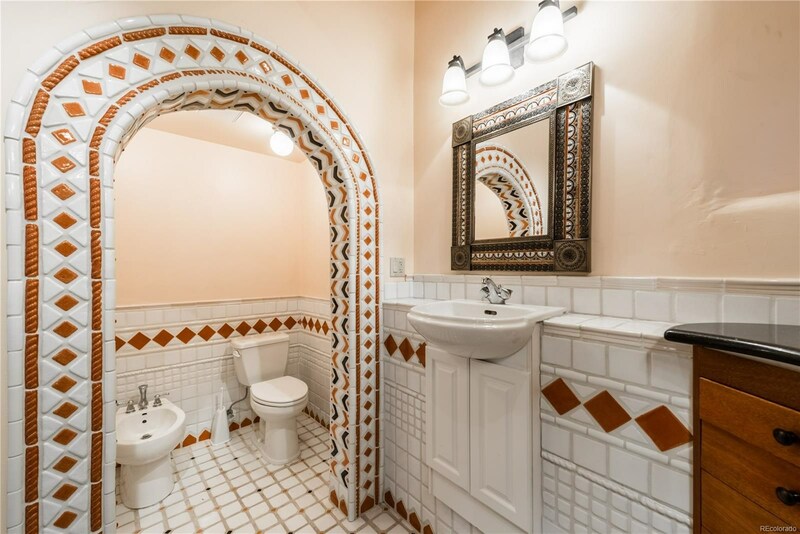 Stunning Pueblo Revival architecture estate with a one of a kind gated hilltop location on 5+ acres featuring 360-degree views of the mountain range, city lights and surrounding treed hills. 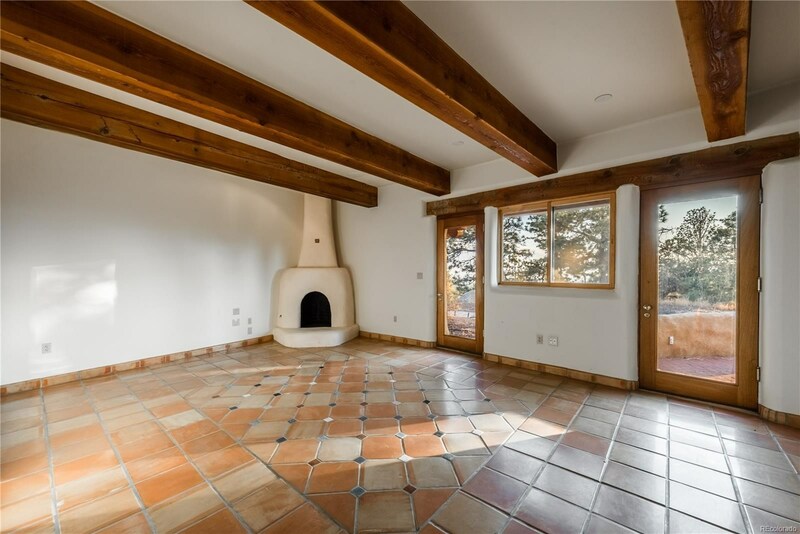 Located in the sought after southwest Black Forest community of Bridle Bit Ranch this home features 6 bedrooms (all with their own fireplace), 7 bathrooms, a large kitchen and pantry with brand new stainless steel commercial grade appliances, dining room to accommodate up to thirty and an unrivaled spacious great room with stone floors, custom designed wood burning fireplace and 6 doors which allow you to open the space to the southwest facing entertaining terrace with fantastic views. 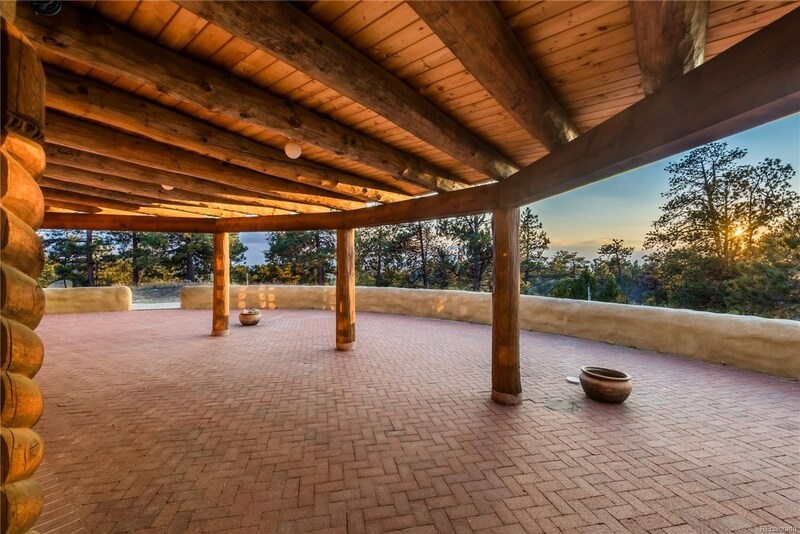 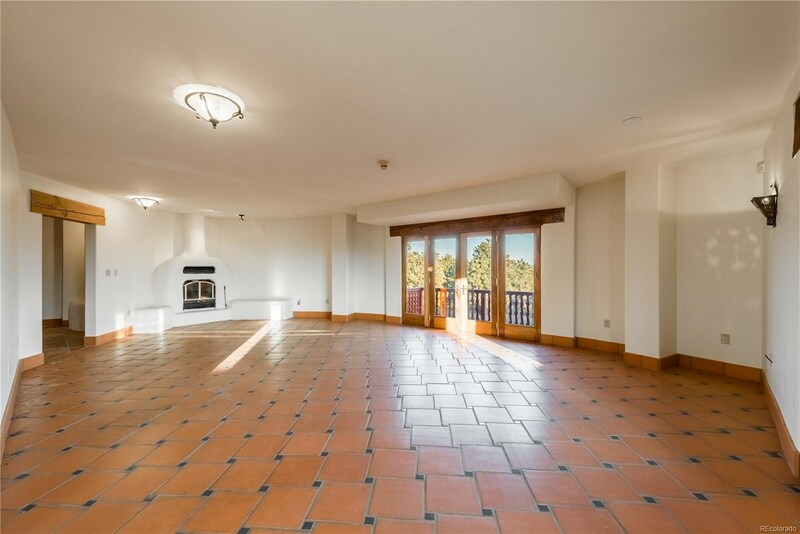 This property has the finest outdoor entertaining available with over 7,500 square feet of outdoor terrace space, an interior courtyard with fountain, stone oven, and cleared acres to build an arena, pool etc. 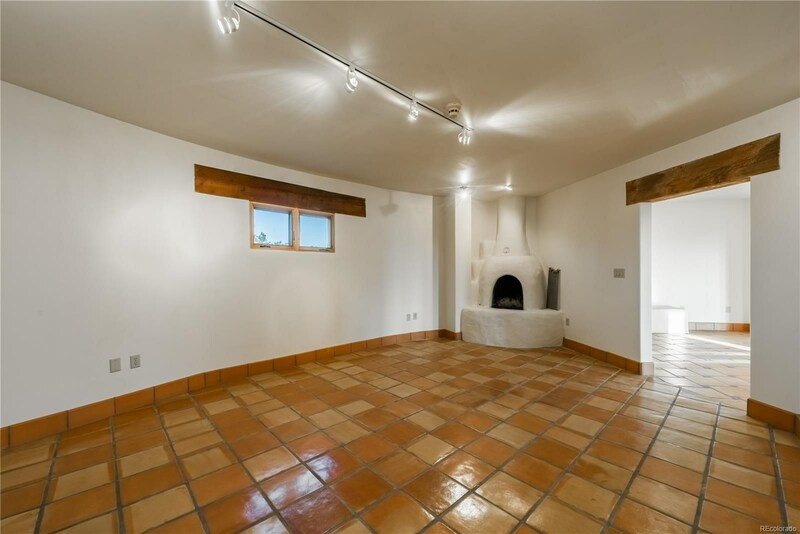 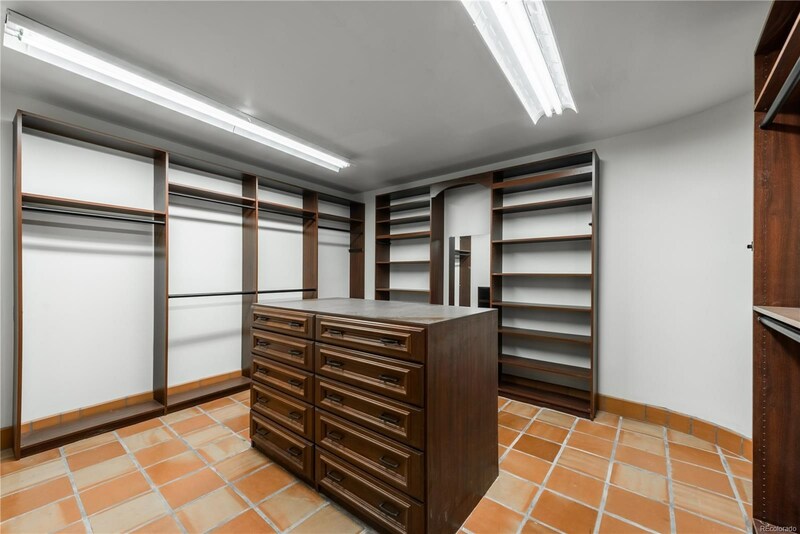 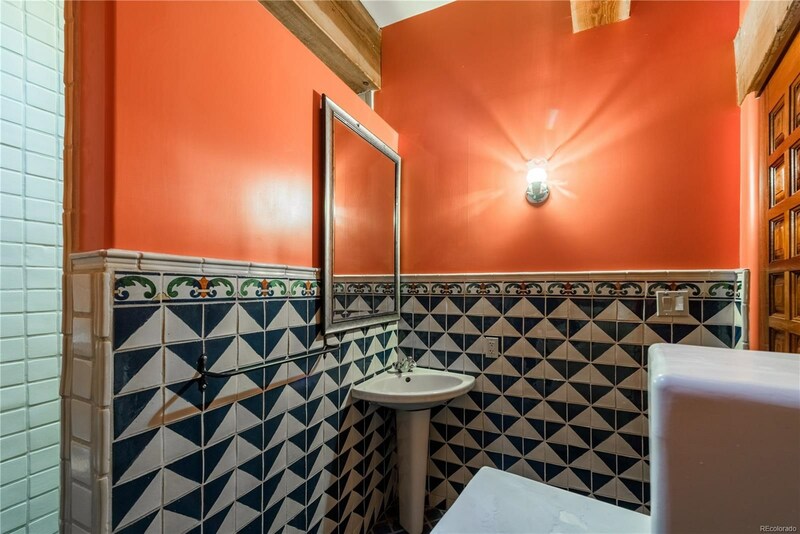 There are master suites and laundry hookups on both levels of the home, a 1713 square foot pull-through garage.